Find country or region that is your focus, then follow the links to the partner’s website. Operating throughout the Middle East and Pakistan, we work across industries, supporting large multi-nationals as well as local organizations looking to enhance their business performance. With our career transition services, our aim is to understand your 10-year plan, according to which we will sketch out a plan. We use state of the art psychometrics to help bring strong self-awareness, while connecting to your extensive network for relationship building activities. Piggybacking on a historically strong training practice, we will also help prep you well for your potential new employers. 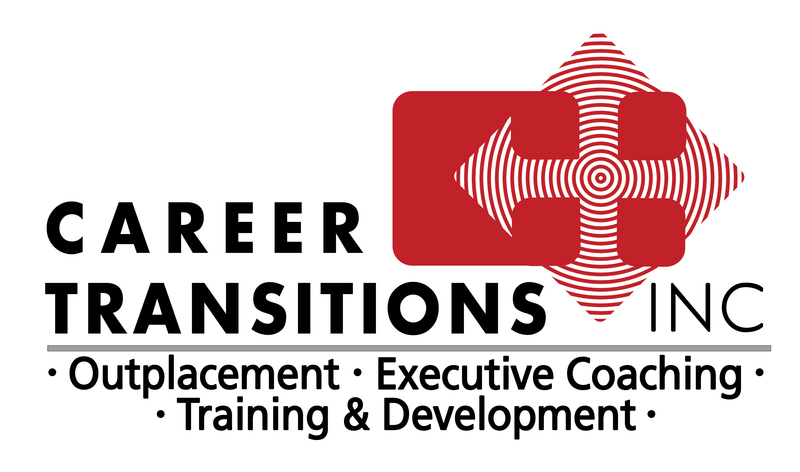 Transitions and Resources, Ltd. is a premier Career Management & Career Transition services firm, embracing Career Development and Entrepreneurship. 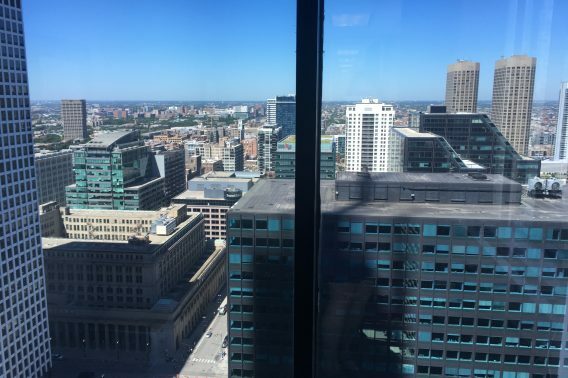 Founded in 1996, we have extensive experience in addressing key aspects of the Human Capital Life Cycle and a proven track record in successfully guiding organizations and individuals through transitions caused by major change events or by the dynamic employee changes that impact business and careers. Our customers consist of multinational companies, government bodies as well as prominent local corporations across various industry sectors and functions. Our Career Transition Programs have been designed to support individuals at every organizational level from all industries and job functions, ranging from Executive Services to First Line Management, Middle Management and Employee level Programs. Operating a flexible approach at all times, our programs are custom made to suit individuals’ needs and aspirations, incorporating state-of-the-art career counseling, comprehensive resources, technology and upgraded methods. Transitions and Resources Ltd’s consulting team is comprised of highly qualified, accredited consultants, thoroughly familiar with various sectors, the business community and the job market, with sound academic backgrounds and extensive professional experience in a variety of industries and disciplines. Quality is the way we do business! Transitions and Resources, Ltd utilizes comprehensive quality evaluation processes and initiatives, conducted both internally and externally, providing us with accurate and objective quality measurements to enable the continuous improvement of our services. Our staff includes native speakers of 5 different languages, many of whom were educated abroad. Global Management Consultants is a performance enhancement consultancy specializing in leadership, organizational development and talent management. Founded in 1997, we are results-orientated and invest time in fully understanding our client’s long term vision; designing solutions that connect talent development with business strategy to guarantee results in a realistic manner. Connected Leadership supports management and staff through all stages of the restructuring/redundancy and outplacement process. This includes advising on planning and communication, handling HR issues, managing the transition, training and group workshops plus individual career transition support, particularly at senior executive and middle manager level. We provide expertise in outplacement and career transition coaching. Our values are professionalism, a genuine care for clients and the ability to deliver results. Our consultants are experienced executive coaches who take a tailored approach to each client. We equip people to find and sell themselves into the roles best suited for their strengths, experience, values and preferences. We help our clients find better jobs more quickly. The result is better morale both for employees who leave and those who stay. This helps organizations protect their brand, fulfil their legal obligations and retain their reputation as employers of choice. Based in South Africa and delivering across Africa, Connected Leadership brings global career transition expertise tailored to your business and culture. For more than twenty years we have been providing professional services to organizations, helping their employees in the successful transition into new roles and careers following organizational change or restructure. We do this by demonstrating respect to the individual and ensuring the highest standards and levels of quality throughout. We have an exemplary track record in successfully helping professionals who face transition or change. We do this by building relationships and providing support that often goes beyond their program duration. Lasting bonds are forged – as shown by the hundreds of former participants who remain in touch through the BMyA Club – our online forum that enables networking and the exchange of contacts and experiences after programs are completed. STATO is Brazil’s premier Human Capital Consulting firm offering high quality, and impactful outplacement services that focus on the needs of the individual. 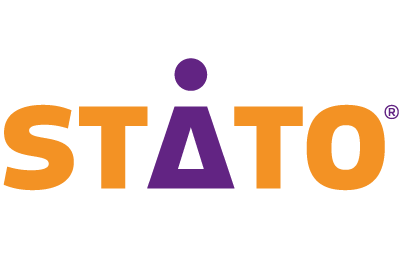 Whether supporting 1 individual or large scale change programs, STATO and their consultants have created it their mission to connect people affected by change with the job market. They do this using a range of tools and skilled consultants who follow their innovative outplacement process, as well as ensuring that those they support receive a continuous flow of information and business contacts whilst establishing reliable partnerships with our clients. Optimum Talent is a leading provider of human resources consulting services with expertise in Career Management and Career Transition, Coaching, Executive Search and Organizational Psychology. The firm’s common objective is to provide clients with the highest level of integrated talent development solutions. Career Transitions, Inc. is a career management, outplacement, and leadership development firm which offers innovative organizational solutions that are a great tool for helping create a business environment that is more adaptive, collaborative, and skill-ready, increasing results in the improvement of performance as well as quality of work. Established in 1980 and with over 30 years’ experience in Puerto Rico and the Caribbean, Career Transitions Inc. can provide full support to organizations during the process, develop and deliver the highest outplacement services in the industry. Our programs integrate career consulting, training, coaching, job connections and administrative support services to help from Senior Executives to Support Staff. Our organization guarantees quality, innovation and measurable results and is committed to excellence and success. We establish a business partnership with our client companies, which are customized to offer exactly what they need, when and where they need it. At CTI, we know how challenging it is to continue providing business results during a time of change. Since 1995, Lukkap has been delivering solutions to organizations that undergo change. From large-scale transformation programs to developing individuals and teams, Lukkap works closely with clients to design solutions that deliver results. Lukkap works across all industry sectors supporting both large-scale, multi-site redundancies as well as individual outplacements. Our approach is to always put the individual first – this is why over 250 clients repeatedly put their trust in Lukkap and their consultants. Our mission is transforming companies & people, making a future. We have a) PASSION “Ardor for life, passion for projects. Positive attitude. Joyfulness”. b) INVENTIVENESS “Fresh, smart and simple solutions for worthwhile transitions”. and c) TRASCENDENCE “Transforming vocation, active social commitment, social value delivering. Vásquez Kennedy is a consulting company that has been supporting the development of successful careers since 1997. Our core purpose is to help people find the right job and manage a successful career, aligned with their own unique personal characteristics and with the requirements of the professional and market environment, by providing them with a support system based on technological resources, assessment and training tools and a team of experienced senior consultants. Our portfolio includes the following services: Outplacement for Companies, Retail Outplacement, Career Development and Executive Development. Challenger Gray & Christmas, S.C. Challenger, Gray & Christmas has a long history in delivering premier outplacement services to clients. 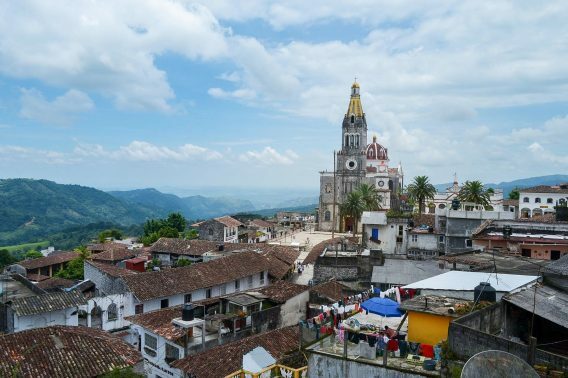 As one of the oldest outplacement firms, with extensive coverage throughout the USA, they have a proven track record of successfully providing top quality outplacement programs for executives, middle managers and highly valued employees. Delivered by experienced consultants, Challenger Gray & Christmas offer programs that are dramatically different from those you will find elsewhere. From start to finish, Challenger is focused on results. Challenger implements a process that actually reduces the search time for your employees rather than an emphasis on busy work, which creates the illusion of accomplishment. Challenger offers superior counseling resources, recognizing that each client is unique, with individual employment goals and special needs. All counsellors are full time employees and are required to complete and extensive certification process before they are permitted to work with clients. We bring senior level business experience to meet your specific needs. Chicago (HQ), Birmingham, Phoenix, Los Angeles, Newport Beach, San Diego, San Francisco, Denver, Hartford, Stamford, Washington, Fort Lauderdale, Orlando, Jacksonville, Miami, Tampa, Atlanta, Chicago, Lisle, Kansas City, Louisville, New Orleans, Baltimore, Boston, Detroit, Minneapolis, St. Louis, Montana, Nebraska, Omaha, New Mexico, Albuquerque, New York, Charlotte, Raleigh, Beachwood, Cincinnati, Columbus, Toledo, Oklahoma City, Tulsa, Philadelphia, Pittsburgh, Columbia, Knoxville, Nashville, Austin, Dallas, Fort Worth, Houston, Irving, San Antonio, Salt Lake City, Richmond, Seattle, Madison, Milwaukee, and throughout the USA. Challenger offers superior counselling resources, recognizing that each client is unique, with individual employment goals and special needs. All counsellors are full time employees and are required to complete and extensive certification process before they are permitted to work with clients. In Asia Pacific, Prima Careers’ experience, resources and expertise has made them one of the leading providers of Career Transition, Outplacement and Redeployment services, operating out of 30 offices within the Asia Pacific region. At the strategic level, Prima Careers works with clients to develop business and human capital strategies to improve organisational and people performance. Initiatives are tailor-made for clients but generally include assisting with leading and driving change, assessing and improving employee engagement, employee communications, along with the design and implementation of cost effective Career Management, Redeployment and Outplacement strategies. Prima Careers assists individuals in having competitive advantage through the dual provision of high level strategic advice and hands on practical services. ST Management Consulting delivers professional HR consulting services, including Career Management/Outplacement, Assessment, Coaching and Talent Management in Russia and formed Soviet Union countries since 1999. Outplacement provides help for individuals and groups by auditing their professional experience and preparing a career plan, providing essential career skills training. Coaching improves individual and collective performances on the basis of personal resources development. Talent management assists the companies to excel via people. Our consultants have strong backgrounds in HR management, career consulting, coaching, trainings, assessment and job search process. We are committed to deliver the professional quality services to our corporate clients and their employees. The Gemini Personnel Group was formed in Hong Kong in 1983 and has expanded into a multinational services organziation with two offices in Hong Kong as well as in Shanghai, Beijing, Guangzhou, Shenzhen, Thailand and Singapore. With over 100 staff regionally, Gemini Personnel Group is able to address the various needs of our clients ranging from temporary staffing through to executive search and selection, HR advisory, consulting services and career transition. Gemini Personnel’s HR Consulting division is headquartered in Hong Kong and offers our clients a full suite of consulting services across the region. Gemini Personnel’s Career Transition programs are led by our senior managers, all of whom have strong professional backgrounds within the human resources industry and a deep understanding of the markets they represent. Each program is designed around the specific needs of the individual to ensure that expectations are met on a one to one basis from career guidance to counseling. Since 2002 Husys has been a pioneer and market leader in the design and delivery of HR Function Management/Outsourcing in India. Husys Consulting works across all sectors and its client portfolio consists of national, multi-national and Global Organisations. Our career transition and outplacement programs have been designed to support individuals at every organizational level, from all industries and job functions. Working with Career Star Group, we use a tried and tested methodology, tailoring them to embrace Indian culture. Husys’ consulting team comprises of highly qualified consultants, thoroughly familiar with the various industry sectors, the business community and the job market. All have a solid educational background and strong professional experience in a variety of industries and disciplines. Customer satisfaction and excellent client experience is our way of delivering business. We understand the services are measured and evaluated every second and our goal is to create the positive moment of truth for our clients. We continue to innovate, train and re-train our teams to be current all the time and always strive to deliver lasting results. 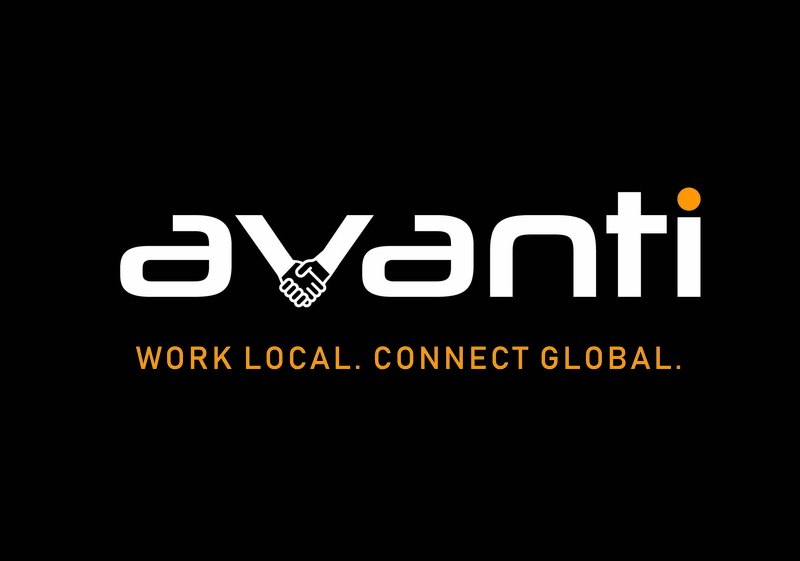 Avanti People Partnership was formed in the Philippines in 1995 as Asia Partnership Philippines, and in 2005, changed its name to Avanti People Partnership International. Avanti People Partnership is able to address the various needs of our clients ranging from start-up company operations, recruitment, on-boarding, HR & benefits administration and executive search through to outplacement services. Avanti People Partnership’s Career Transition programs are led by our senior consultants, all of whom have strong professional backgrounds within the human resources industry and a deep understanding of the markets they represent. The Gemini Personnel Group was formed in Hong Kong in 1983 and has expanded into a multinational services organziation with two offices in Hong Kong as well as in Shanghai, Beijing, Guangzhou, Shenzhen, Thailand, Singapore and Vietnam. von Rundstedt is one of the leading experts in talent and careers advice in Germany. With over 30 years’ experience in supporting over 2000 individuals annually to successfully transition, von Rundstedt’s proven methodology combined with their depth of knowledge on the current and future job market and employment trends provide those who use their services with a real competitive advantage. All programs are delivered by experienced and committed consultants who support individuals of all levels, helping them to focus on the future and to quickly and purposefully move forward and be successful in finding the right role for them. Quality is a key measure for von Rundstedt and is demonstrated not only by the fact that 90 % of individuals that would recommend their outplacement programs to others, but also by high number of individuals who remain in role two years after they were supported by von Rundstedt (over 95%). MPS is one of the Baltic countries’ leading companies in outplacement, recruitment and digital solutions. We have an extensive network both in the Baltic countries and also in Finland offering our clients solutions with high quality and understanding of local job markets. Our consultants understand both human work behavior and business and can support our customers in different career situations. Antwerp, Aalst, Braine-L’Alleud, Brugge. Brussels, Charleroi, Gent, Hasselt, Kortrijk, Liege, Mechelen, Mons, Namen, Sint-Niklaas, Turhout and Waver. 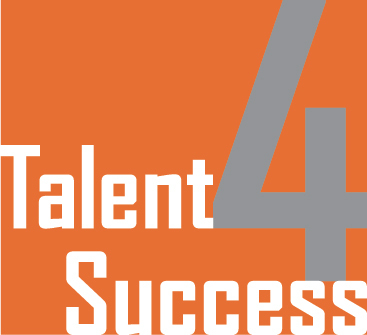 Talent4Success works in partnership with organizations to deliver talent management solutions that are cost effective and impactful. Their services cover the broad spectrum of Talent Management – from Talent identification (Assessment) Talent Development (Coaching) through to Transition (outplacement and career transition). With a presence throughout the Benelux countries and a deep pool of experienced and multi-lingual coaches, Talent4Success delivers ‘hi touch’ outplacement programs to employees affected by organizational change. Their ethos is to focus on the individual, helping them to reach their full potential. The results? An enviable track record with over 85% of clients finding their next role. Working with Talent4Success, organizations can be assured that employees will be treated with the upmost dignity and will receive the very best in outplacement support, that their employer brand and staff engagement levels are protected and that the change process is made as smooth as possible for all involved. OD&M Consulting is an HR consulting company offering a unique blend of internationally innovative, flexible and reliable solutions combined with local expertise. We are recognized by clients with the rich and various experience of our consultants, trainers, coaches, as well as smart methodologies, contemporary and practical strategies that we tailor for companies based on the ever-changing needs of the market. Considering the high-paced environment and the power of strong employer branding tools, OD&M Consulting is a trusted partner for companies and their employees in the outplacement services where each individual should remain secured and genuinely supported throughout the process of career transition while finding the next professional field that best suits their career aspirations. OD&M Consulting is a unique blend of innovative, flexible and reliable global solutions combined with local expertise. Its competitive edge is reliable and proven ability to quickly and effectively respond to the constantly changing demands in the Human Capital Management arena. OD&M Consulting’s aim is to support organizations in managing their people and bringing out their potential, with innovative and research-based HR products and consulting, training and outplacement services. Our team of experienced local and international consultants is here to help you put strategies into practice, and fine-tune processes to fit your needs. With our offices in Serbia, Croatia and Montenegro we are able to provide you with services in the following countries as well: Bosnia and Herzegovina, Macedonia and Slovenia. S&S Consulting is a premier Change Management and Career Transition Services firm, embracing Talent Management and Career Development. Founded in 1994, we expanded our territorial coverage to include Cyprus in 2000. S&S Consulting has a long history of addressing key aspects of the Human Capital Life Cycle and a proven track record of guiding more than 100 organizations and over 15.000 individuals, through successful transitions. S&S Consulting corporate customers consist of multinational and prominent local companies, across all industry sectors and functions. Our services, range from specialized C-Suite Executives service to First Line Management, Middle Management and Employee level, tailored to suit individual needs and aspirations, incorporating superior counselling, comprehensive resources, technology and upgraded methods. Our team of highly qualified accredited consultants, is thoroughly familiar with the business community and the job market, with sound educational background and prior professional experience in a variety of industries and disciplines. We pride ourselves on our Career Transition programs and services excellence, demonstrated by the consistently high ratings we receive from customers and individuals. Teamconsult was established in Prague in 1993. From the very beginning, our focus has been to provide HR consultancy to multinational companies. In 2002, Teamconsult expanded to Bratislava, Slovak Republic. We are the leading provider for outplacement and executive search services in the Czech and Slovak Republics, supporting organizations with individual programs as well as large scale downsizing exercises. Teamconsult covers all regions of the Czech and Slovak Republics, providing outplacement, executive search, management audit, and general HR consultancy services. Teamconsult has an internal team of consultants, researchers and psychologists. Our in-house HR consultants are seasoned professionals with between 5 and 20 years experience and has extensive knowledge of various sectors. Our portfolio of clients is comprised of prestigious international corporations from a multitude of industries. Teamconsult is an active member of the German Chamber of Industry and Trade and of the American Chamber of Commerce. Our principles combine long-term cooperation through a close partnership with the client, guarantee of professional project management, services and fees based on transparent conditions and protection of confidentiality of all our business partners. We have extensive local market knowledge thanks to our presence in the Czech and Slovak markets for over 20 years. We also have a strong network, enabling us s to provide our clients access to the hidden labor market, which is not visible in print- and electronic media. At MAKIO we are specialized in outplacement and assist employees and companies through transitional phases in both private and public sectors. Since 1996 we have provided career development services to about 300 companies, primarily outplacement. We provide support to the company and their management throughout the entire process. Our programs are designed to support individuals at any organizational level from all industries and job functions. All our services and processes are tailored to meet individual needs and aspirations. Our counseling is based on a close partnership with the client, attendance, humility, drive and professionalism. Our advisors are selected based on a solid business experience and personal values to ensure that expertise and quality are combined in a professional and personal approach for each candidate and the involved company. MAKIO operates throughout Denmark with offices in Copenhagen (HQ), Herning, Aarhus and Aalborg. MPS works with organizations to deliver effective solutions that help them to maximize their greatest asset – their people. Founded in 1975, MPS are experts in change management, career management, coaching and outplacement. With offices throughout Finland, Estonia and Lithuania, MPS have been providing extensive support to companies and their people throughout the entire change process. These range from manager coaching to help those responsible for implementing dismissals to understand their duties and responsibilities during the change process through to outplacement programs that support those affected by redundancy. Working across all sectors and levels, they offer a range of outplacement programs that centre on understanding, supporting and guiding individuals affected by change towards new and rewarding experiences. Alixio Mobilité implements, pilots and deploys Career transition programs, assists with the mobility and collective support for return to work: information and advice space and employment support teams to assist with voluntary early retirement, managing internal mobility and skills, outsourcing and management of training budgets. Alixio works with the public authorities to design and implement career transition and training programs for employees made redundant or those facing a career change. Each year, Alixio Mobilité helps more than 40.000 employees in their career development or reclassification, collective and individual outplacement, and transition programs. S&S Consulting is a premier Change Management and Career Transition Services firm, embracing Talent Management and Career Development. Founded in 1994, S&S Consulting has a long history of addressing key aspects of the Human Capital Life Cycle and a proven track record of guiding more than 100 organizations and over 15.000 individuals, through successful transitions. Simon & Mayer was established in 2011 as an independent division of Jobsgarden Kft. that was founded in 2001. Over the past ten years the company has continuously expanded its client portfolio and now has a significant and stable customer base, considerable references and an international network. The establishment of the division had a two-fold purpose: on the one hand there was a constant demand from the clients to fill executive positions in addition to specialist selection, as these positions require a different work method and approach. On the other hand Simon&Mayer received an increasing number of commissions in the fields of HR consulting, coaching and outplacement. The company has been providing HR services on the Hungarian market for more than 12 years. These years enabled the staff to gain broad selection- and career consulting experiences on Hungarian job market, to help clients in their transition, merging or down-sizing period. Especially those who today -in this difficult economical period- consider important to support their leaving professionals with career consulting so that these colleagues get through easier the uncertainty of the transition time. Simon&Mayer Consultants are highly skilled individuals with 10+ years of experience in coaching and outplacement consultancy. Our programs are tailor made for individuals from employee level up to Senior Executives. Our Coaches and Consultants continue education and development in coaching, keeping themselves up to date with their industry and the employment market; thus enabling them to provide the best possible advice to clients. We put great emphasize on the behavioral competencies of the Coaches, such as problem solving skills, flexibility, active listening skills and goal orientation. We believe that a passionate, enthusiastic and professional approach combined with the ability to provide emotional support helps our clients through the career transition phase successfully. NTOO UK and Ireland is the sister company of Italian leading outplacement provider, Intoo Srl and part of Gi Group. Operating throughout the UK and Ireland, we help organisations implement solutions and create environments where talent constantly thrives, successful careers are developed and true potential is realised. We do this by designing and delivering hi-touch, people focused solutions delivered through people, not technology, as we believe this is where the greatest change and value comes from. Our areas of expertise include: change management, outplacement, career development, coaching and mentoring. Each member of our team personally has over 10 years’ experience assisting organisations to implement effective change programmes and individuals to successfully transition their careers. Ancona, Bari, Bergamo, Bologna, Brescia, Como, Florence, Genoa, Naples, Milan, Padova, Palermo, Rome, Turin, Udine. Working with organizations that are going through change, Intoo offers advice and guidance throughout the whole change management cycle, helping to organizations to put in place effective strategies that deliver results while protecting the organization’s reputation. Through its individual and collective outplacement consultancy services, Intoo offers solutions designed to assist employees who are leaving the company, providing them with technical and professional support aimed at finding a new and satisfying in-placement in the world of work. With over 20 years of experience and 14 offices throughout Italy, Intoo has supported thousands of people (from senior staff to offices workers) through transition. Their consultants – all specialists in different industries – coupled with their in-placement services bring an unparalled advantage to those they support. When it comes to Outplacement, OD&M Consulting employs a tried and tested approach, delivered by highly competent consultants, that ensures individuals achieve their future potential. Originally founded in the 90’s by a group of experts in human resource development, OD&M Consulting specialized in organizational and management system design, knowledge management and change management. Today OD&M Consulting draws on this wealth of experience to consult, advise and develop comprehensive solutions that help organizations to achieve their business goals through their people. With offices in Bulgaria, Croatia, Montenegro Serbia, their services include: Search and Selection, HR Consulting, People Development and Outplacement. Karrierehuset, founded in 2006, is a consultancy partner to businesses in the areas of outplacement, career counselling, recruitment, leadership development and sales skills performance. The company delivers professional career counselling to individuals and professionals in phases of transition. Karrierehuset’s expertise is downsizing processes and our career counsellors have significant experience in all facets of career transition and outplacement processes. All our courses, programs and services have dedicated coaches and career counselors with vast and varied experience within career guidance and outplacement services. All associates have an in-depth knowledge of the current employment market, as well as expertise in the area of higher education. Every process is marked by quality and an individual and flexible approach to support individuals at every organizational level and from all industries and functions. BIGRAM Personnel Consulting is a human resources consulting firm, embracing Executive Search, Recruitment of Managers and Key Specialists, as well as Outplacement and Career Development. Founded in 1993, BIGRAM has assisted hundreds of organizations in Poland, developing their employees’ careers and supporting the process of change. Our offices are located in Warsaw, Wroclaw and Poznan but we realize projects all over the country. BIGRAM Personnel Consulting outplacement customers consist of multinational companies well as prominent local ones, across all industry sectors and functions. We offer group and individual outplacement programs, different thematic workshops and individual consultancy meetings. In addition, we offer support in the preparation of managers to communicate tough decisions as well as consultant’s presence and support during layoffs. Furthermore, our programs are reinforced by a website that serves as a data base and information base for program participants. Our programs focus strongly not only on finding new jobs but also on providing individuals with the understanding of their development needs in respect of their further career paths. Our success is the result of experience, labour market expertise and an understanding of the behaviors of new job seekers, consultants’ commitment and faith in success of undertaken activities. We are also proud to have in our team a consultant who participated in the first outplacement program conducted in Poland in early 90’s. Bucharest (HQ), Bucharest (Branch), Timișoara, Cluj-Napoca, Oradea, Arad, Brașov, Iași, Roman, Baia-Mare, Craiova, Pitești, Ploiești. Wyser is part of the Gi Group, specializing in search and selection services, assessment centre and career advices for candidates, focused on middle and top management position. Our customers are both multinational and national companies acting in different industries like automotive, retail, FMCG, finance and accounting, engineering, oil & gas, etc. The Outplacement services we provide support a wide range of personnel, from blue-collars to top-management, with a focus on high level. We have also developed programs for C-Suites Executives. We do focus on clients’ needs and aspirations, and these are the very basis we tailor our services and the starting point for our success. We assist our customers from the very beginning of the outplacement process, providing advice and guidance throughout the entire change management process, merging or downsizing period. Each outplacement program it is customized based on customer need that tracks quality indicators. This program also helps candidates to position themselves more easily on the current labor market. We always aim for quality! Teamconsult was established in Prague 1993. From the very beginning the focus of Teamconsult has been to provide HR Consultancy to multinational companies. Teamconsults Slovak office was established in Bratislava in 2002. We are the leading provider for outplacement and executive search in Slovak Republic, supporting organizations with individual programs as well as large scale downsizing exercises. From the office in Bratislava, Teamconsult covers all regions of the Slovak Republic, providing outplacement, executive search, management audit, and general HR consultancy services. Teamconsult has an internal team of consultants, researchers and psychologists. Our in-house HR consultants are seasoned professionals with between 5 and 20 years experience and has extensive knowledge of various sectors. 4Focus offers services, long experience and broad skills in leadership development, recruitment, team development, coaching and career development. Your result is our primary focus. You are met with great dedication, a pragmatic vision and responsiveness. We are competent senior consultants with experience from various leading positions, from small and large organizations, from start-ups to the stock market’s A-list. We are a leading outplacement company and a major provider of talent search and career counselling services. Our strong team of experienced advisers, experts and insiders from the Swiss market region provide services to specialists and managers in the areas of outplacement, career counselling and executive coaching. By means of assessments, training, coaching and in-depth market analysis we will bring your career project to a successful conclusion. As a family-owned company with a proud history we are committed to ensuring our customers’ long-term success. Companies and talented job-seekers therefore turn to von Rundstedt in all matters relating to personnel management. OneWorld Consulting is a quality-focused people consulting firm based in Istanbul. We provide tailored solutions to organizations as they work with their employees at all stages of the talent lifecycle. We help organizations find and recruit the best talent with Executive Search. We work with companies to develop talent in effective ways through Executive Coaching and Mentoring programs. We work with Leadership Teams to make them more effective, and provide People Advisory services to advise clients on a range of people issues. When people are working in new environments, or diverse groups are working together, we provide support with Intercultural Consulting. When an employee leaves an organization we provide customized Outplacement Consulting. We work with local and international businesses in Turkey across a wide range of business sectors and deliver our services with energy, passion and knowledge, while keeping to high ethical standards. Our career transition programs are always tailored to the needs and interests of the individual concerned and are designed to deliver what companies and employees need and want at this critical period. We provide practical and relevant tools to create a range of customized activities that offer advice and support. Our experienced team of consultants draw upon their knowledge of the talent market and use their coaching skills to work with people as they go through the process of leaving their organization and deciding on their next career steps. We passionately believe in improvement through feedback and continually seek to enhance the quality of our services. The information we gain enables us to build even stronger working relationships and gives us a strategic perspective on how to better meet our clients’ needs more effectively. INTOO UK and Ireland is the sister company of Italian leading outplacement provider, Intoo Srl and part of Gi Group. Operating throughout the UK and Ireland, we help organisations implement solutions and create environments where talent constantly thrives, successful careers are developed and true potential is realised. We do this by designing and delivering hi-touch, people focused solutions delivered through people, not technology, as we believe this is where the greatest change and value comes from. Our areas of expertise include: change management, outplacement, career development, coaching and mentoring. Each member of our team personally has over 10 years’ experience assisting organisations to implement effective change programmes and individuals to successfully transition their careers.